Weton Wifi Smart Plug,offer you a Safe and convenient smart Life. (a)Use the Hotspot mode to connect to the phone if the wifi connection does not work. 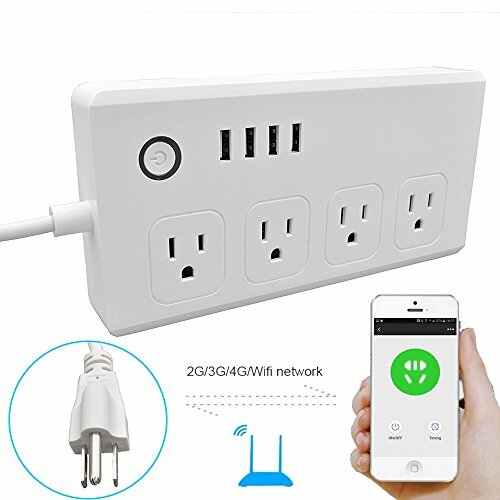 (b)The power strip can't control each switch independently with voice; You can turn the whole power bar on and off with Alexa, and you can open the app to control each plug individually. (c)You can control it individually via Alexa ECho and app on smart phone or tablets(USB Ports a whole, and 4 outlets one by one).